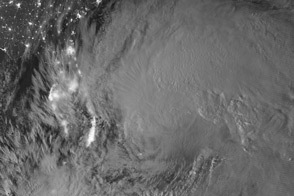 On October 29, 2012, lives were changed forever along the shores of New Jersey, New York, Connecticut, and in the two dozen United States affected by what meteorologists are calling Superstorm Sandy. 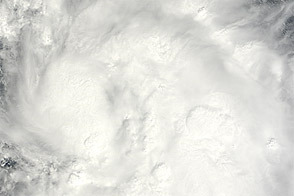 The landscape of the East Coast was also changed, though no geologist would ever use the word “forever” when referring to the shape of a barrier island. 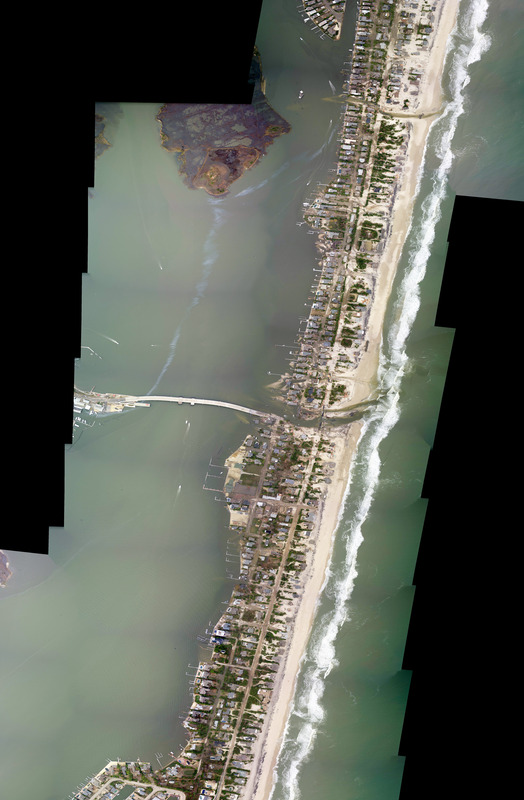 The two aerial photographs above show a portion of the New Jersey coastal town of Mantoloking, just north of where Hurricane Sandy made landfall. 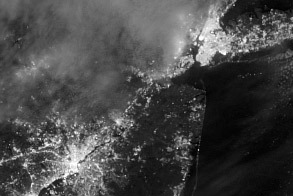 The top photograph was taken by the Remote Sensing Division of the National Oceanic and Atmospheric Administration (NOAA) on October 31, 2012; the lower image was acquired by the same group on March 18, 2007. 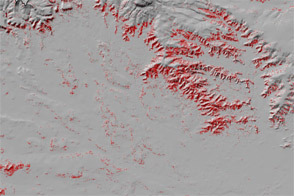 The images were acquired from an altitude of roughly 7,500 feet, using a Trimble Digital Sensor System. The Mantoloking Bridge cost roughly $25 million when it was opened in 2005 to replace a bridge built in 1938. 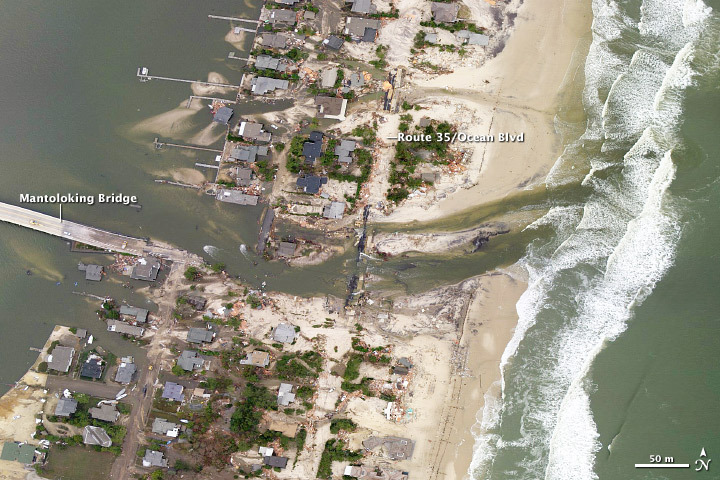 After Sandy passed through on October 29, 2012, the bridge was covered in water, sand, and debris from houses; county officials closed it because they considered it unstable. 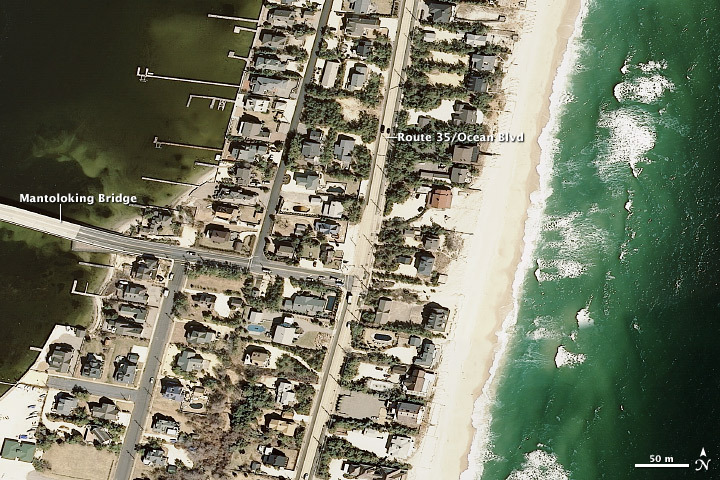 On the barrier island, entire blocks of houses along Route 35 (also called Ocean Boulevard) were damaged or completely washed away by the storm surge and wind. Fires raged in the town from natural gas lines that had ruptured and ignited. 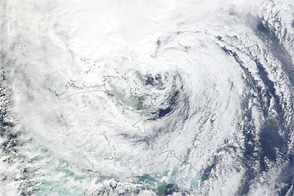 A new inlet was cut across the island, connected the Atlantic Ocean and the Jones Tide Pond. 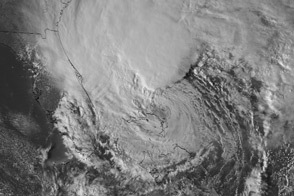 Aerial photography courtesy of the NOAA Remote Sensing Division. Caption by Mike Carlowicz. Hurricane Sandy cut a new channel and wiped out houses in the town of Mantoloking, New Jersey. The Asbury Park Press (2012, October 29) Update: Floating homes close Mantoloking Bridge. Accessed November 2, 2012. 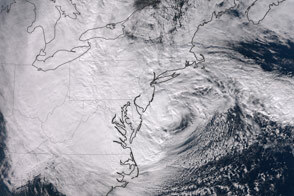 NOAA National Geodetic Survey (2012) Hurricane Sandy Response Imagery. Accessed November 2, 2012. 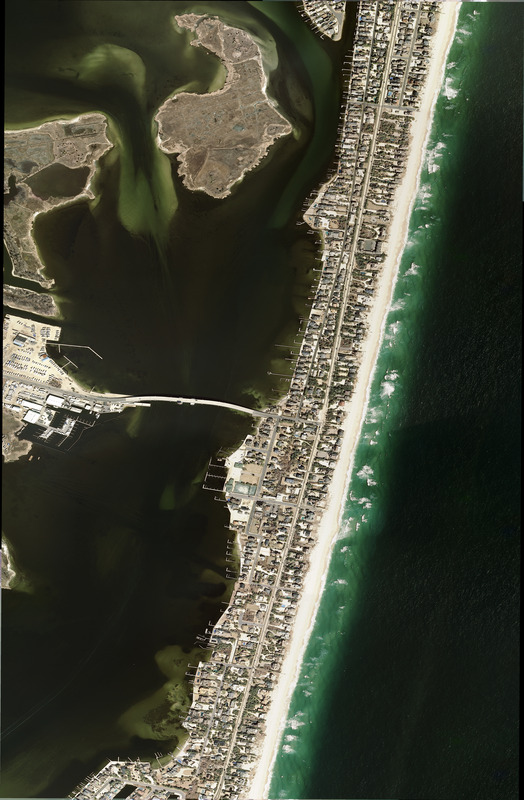 Point Pleasant Patch (2012, October 31) Mantoloking Bridge Considered Unstable; Fires Raging Nearby. Accessed November 2, 2012.